Here we introduce a great idea of automating the billing system at super markets. By using this system there is no need to carry the money on hand to pay at the super market.This system uses the benefits of RFID card. Each car driver will have an account where he deposit the money to pay at the shop.There will be an RFD reader in the super market. When the driver swipes the RFID card his account details will be printed on LCD display in shop. Then he will be asked to enter the amount. After entering the amount the money will be deducted from the account automatically and he will be informed about the balance amount.After paying the bill a buzzer is heard to inform the security man that he paid the bill.If he doesn’t have balance he will not be able to get the items and remainder of low balance of customer through GSM. This project aims at monitoring the patient’s health conditions continuously. The parameters like heart beat and temperature monitored continuously. In other words, the doctor will be diagnosing the patient continuously. This project uses the wireless concept, GSM. In this system, if the body temperature of the patient exceeds above a particular limit, it automatically sends message to the doctor and also produce an alarm indication, so that urgent help to the patient can be provided. The same alerts are also produced when the heart beat goes lower than a particular limit. The system also contains an LCD screen, in the patient’s room which displays the conditions of the person so that the doctor can have an easy analysis of the patient conditions. 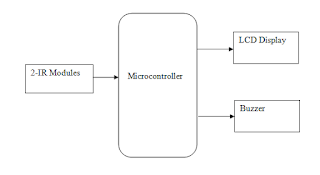 The core of this project is AVR microcontroller, it has more features like 16bit timer, 10-bit ADC, USART, SPI, I2C, 256 bytes of EEPROM memory, and 32kbytes of flash program memory, then at last its speed of program execution is about to 1 microsecond or 10 MIPS (10 Million Instructions per second), etc. 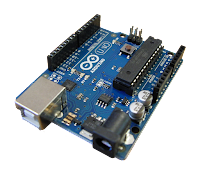 However, compare to other microcontroller it is fast and very ease to program in C language. Download this project source code. It is becoming increasingly difficult for users to interact with the slew of portable gadgets they carry, especially in the area of text entry. Although miniature displays and keyboards make some portable devices, such as cell phones and PDAs, amazingly small, users’ hands do not shrink accordingly. To solve this problem, we proposed a Virtual Keyboard. This device will replace a physical keypad with a customizable keyboard printed on a standard A4 size paper whose “keystrokes” are read and translated to real input. This virtual keyboard can be placed on any flat surface, such as desktops, airplane tray tables, kitchen counters, etc. and can theoretically be interfaced with any computing device that requires text entry. This would eliminate the need to carry anything around and also prevent any chance of mechanical damage to the keypad in harsh environments if a simple lamination is used to protect the paper. The laser beam is simply a conventional off-the-shelf red laser with a line-generating diffractive optical element attached to it. This assembly generates an invisible plane of red light hovering a few millimeters above the typing surface. When a finger passes through this plane, it shines bright red in that region. The CMOS camera continuously captures images of the region where the printed keyboard is supposed to be placed and checks these images for red color data above a specified threshold. The threshold concept works in this case because the laser shining on a typical human finger generates saturating values of red color data, which is very easily distinguishable from its surroundings. Lastly, the printed keyboard is simply a standard A4 size paper that contains a custom keyboard layout. A day on the water is one of the best ways to escape from the summer heat. But all fun and play can make for a dangerous day on the water. Boat accidents are mainly due to number of passengers when exceeds. With help of this project we can reduce boat accidents due to number of passengers. This project is designed to provide a safety feature for Boats, where the number of passengers are a critical factor in the increasing boat accidents. This project is nothing but a Bi-Directional visitors counting and displaying system using Infrared Transceiver modules. Two IR modules are placed at the door,which transmits IR rays to the receiving modules. When these invisible rays are cut by someone, it detects whether the person is entered or gone out by the order the rays cut. The count will increment and decrement when someone enters or leaves the boat respectively. If the passengers count exceeds a particular limit, the system will gives a warning buzzer alert. The current passengers count will be displayed on an LCD display. In this tutorial I am going to brief you on how to establish a communication between two arduino boards through SPI(Serial Peripheral Interface). SPI is also called as 4 wire interface, because it uses four pins to transmit and receive data, they are MISO (Master In Slave Out), MOSI(Master Out Slave In), SCK – This provides the clock signal for data transfer, usually from master to slave. And SS pin- It selects the slave device, it is an active low signal given by Master device. After completing the data transfer with one slave device, the master device pulls up the SS pin to high. In SPI protocol, it is possible to connect more than one slave to a master device. The master device can communicate with any slave connected to the bus at any time, but the slave can communicate only to the master. Whenever the master device wants to send a data to slave, it pulls down the SS Pin and the slave will listen to data. The master device is controlling the clock signal for data transfer, so the slave cannot be able to initiate data transfer. 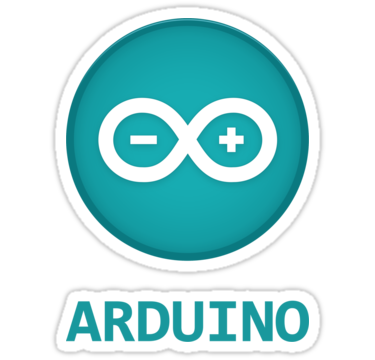 Hello folks, I am here with a simple and interesting arduino project, RF based wireless Message Transmitting system. By using this system you can feed the data to be transmitted serially to the transmitter from your PC. The project mainly consisting of a Transmitter and a receiver section. Transmitter is made by Arduino Uno board and receiver is made by Arduino Mega2560. The communication between transmitter and receiver is through RF, Amplitude Shift Keying. (More about Binary Frequency shift keying) This wireless transmitter and receiver pair operates in 433Mhz. Only one way of communication is possible through this system, the received message will be displayed on a 16x2 alpha-numeric liquid crystal display. The receiving section updates the display whenever a new message arrives from 433Mhz RF transmitter. Here i am going to explain you a simple Password based circuit Breaker Project using PIC Microcontroller. This project is much similar to my previous one, “Password Based Door Locking System”. 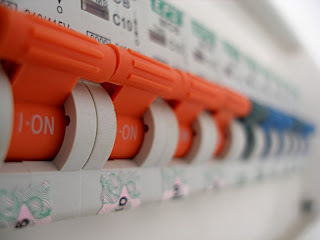 Circuit breakers are electromechanical devices used in the power system to connect or disconnect the power flow at the generator, substation, or load location. Only authorised persons with correct password can connect or disconnect the circuit breaker. Each Line will have separate passwords to operate, By entering the password the current state of the line is toggled. That is, the load will gets connected or disconnected. For verification, after entering the password you need to press the ‘=’ button on keypad (Which is just like an ‘ENTER’ key). This tutorial will help you to interface DS1307 RTC with PIC16F877 Microcontroller. The project is compiled in CCS Compiler and simulated with Proteus. The Real Time Clock is interfaced with PIC controller via I2C. I2C is a 2 wire communication protocol. I2C is used for moving data from one device to another simply and quickly. It is a serial, synchronous, Bi-Directional protocol, the data is synchronised with clock through SCL pin and it controls when data is changed and when it should be read. All device is controlled by master device’s clock, No data is transferred in the absence of clock. As mentioned above data is bi-directional, master device can both transmit and receive data. The serial data (SDA) and Serial Clock (SCL) pins must be pulled up with resistors, the value of resistors determine the speed of communication. 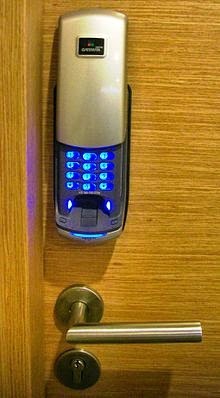 This is a Password based Door locking system with GSM. The project mainly consisting of PIC microcontroller (16F877), 16x2 LCD Display, GSM Modem, Keypad and misc. (Relay, Crystal oscillator, power supply which is not shown in circuit diagram) The program is compiled using PICC Compiler and simulated on Proteus 8. All Header and simulation files are given at the bottom of this post. The default password is set as 123. This project can be implemented anywhere where, higher security is required. If the user enters correct password, that is “123”, the relay gets active and opens the door. If an un-authorised person trying to access the system and enters the password incorrectly three times, the system gets locked and alert the owner by sms using Gsm modem. Once the system gets locked a count down timer will appear on lcd and you have to wait that predetermined time period. Deaf and Dumb people communicate with each other and others in many areas of everyday life. Often they need support to communicate effectively with each other. The project aims to develop a complete Portable Communication Aid for deaf and dumb. A flex sensor glove along with MEMS Accelerometer is used to convert the sign language to voice. The PDA with voice to text converter converts voice to text format. The 3 axis Mems and Flex sensor glove is connected to the ADC channels of the LPC 2138 Microcontroller. According to the digital output values from Mems and Flex sensor, The microcontroller recognize the corresponding letter and transmits to voice recorder IC through SPI module. The IC converts these to voice format. The project also includes a PDA with voice to text converter which converts the voice into corresponding text format and transmits to the microcontroller through Bluetooth. 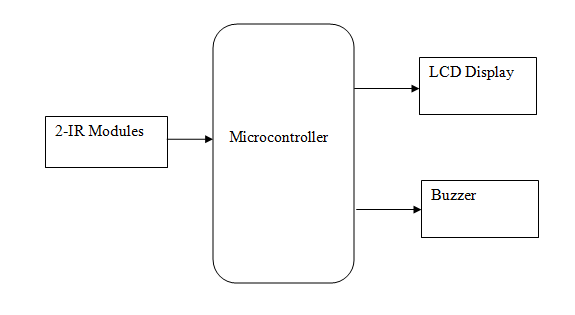 Bluetooth is interfaced to the UART module of the microcontroller. The microcontroller also includes a LCD module which displays the text. 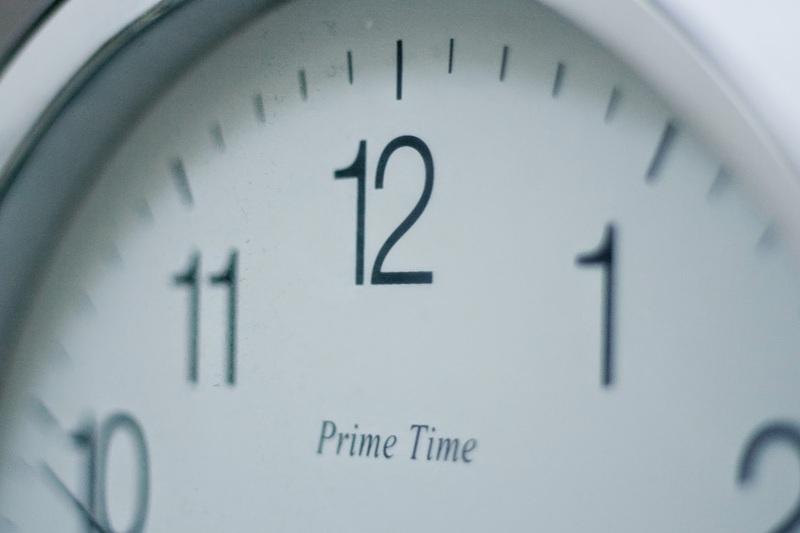 As the technology is growing at a faster pace, everyone prefers for online services. Coming to this project, the aim of this project is to deliver the parcel or courier at the destination address and also update the location of the parcel in the internet. The parcel will be attached with an RFID tag. This tag contains a unique number which cannot be modified. As the parcel travels many postal departments in various regions before reaching the destination, it will read in every region. Every postal department contains the RFID reader. The significant advantage of all types of RFID systems is the non contact, non-line-of-sight nature of the technology. Tags can be read through a variety of substances such as snow, fog, ice, paint, crusted grime, and other visually and environmentally challenging conditions, where barcodes or other optically read technologies would be useless. The reader reads each and every parcel and automatically sends the unique number in the tag to the microcontroller. The microcontroller displays this number on LCD along with the area it is currently in. The users can check the current location of the parcel by GPS. Thus, there is no worry that the parcels are reached safely or not. The controlling system continuously updates the current location of the parcel. This project is a robot vehicle that can be controlled through any computer wirelessly using a WiFi link. It transmits real-time video to the controlling computer using the same link. The video transmitting camera mounted on it. It also has obstacle detection,temperature,sound and light sensitivity feature. Usually robots are controlled through a laptop using an WiFi link which is subject to attenuation, noise and has a very limited range as well. This project features a robot that uses WiFi 802.11G standard for its control signals through TCP/IP protocol, which has flow control. This enables uninterrupted and reliable transmission of control signal to the robot vehicle. WiFi support high data rates which enables good quality uninterrupted video transmission from the robot to the computer. Image capturing is done by mounting an IP-camera over the Robotic Car. 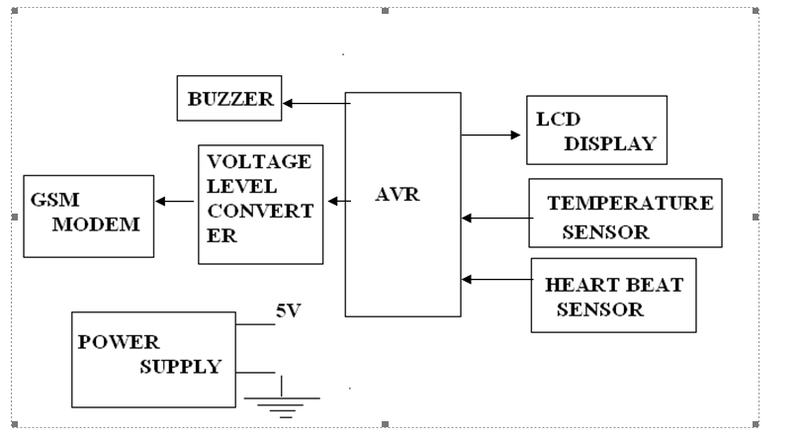 Obstacle detection is done by using IR sensors which receives signal from IR transmitter when the obstacle is detected. Light sensing capability is another supporting feature added to the robot for its flexible operation, it is done by using Light dependent resistors. It is applicable is areas like blocked tunnels, pipe lines and enemy zones which are not reachable due to high risk level, blockage or because of our physical limitations. This Project is a robot vehicle which is wirelessly controllable through any laptop, it transmits live video wirelessly to the controlling laptop, it can detect obstructions which comes in its path way, and can also sense dark places and efficiently uses its lights to support efficient use of camera even in dark places. Wireless controlled and maneuvered through a laptop using a WiFi link. Obstacle detection feature with which any hurdle in its path is detected and the robot stops. Wi-Fi enabled transmission of live digital video to the controller laptop or PC. Light sensitivity: It would turn its lights on recognizing if it is dark.